Home News DoubleCOOL explores Switzerland! DoubleCOOL has the pleasure to inform you that we have explored a new market in Switzerland! 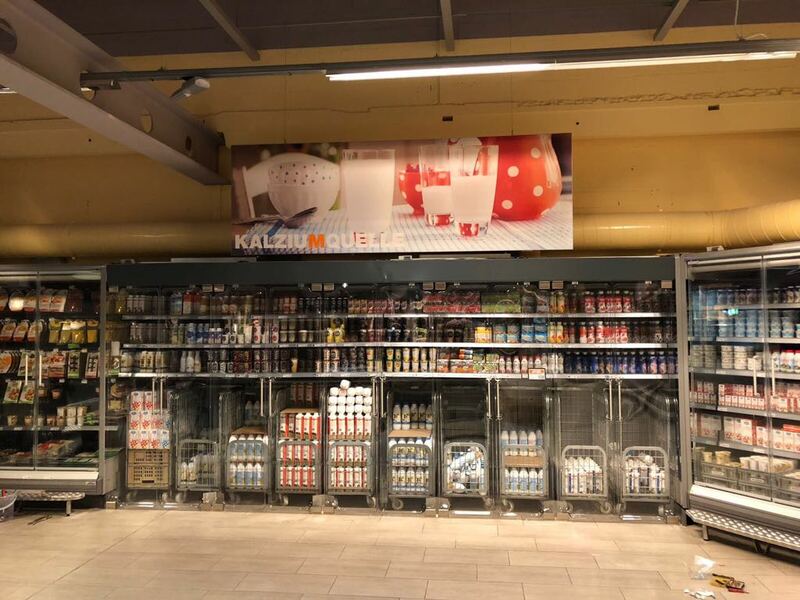 This week we have installed our full height acrylic cooling doors for a roll-in milk cabinet at Migros-Genossenschafts-Bund, the biggest supermarket chain in the Swiss market. 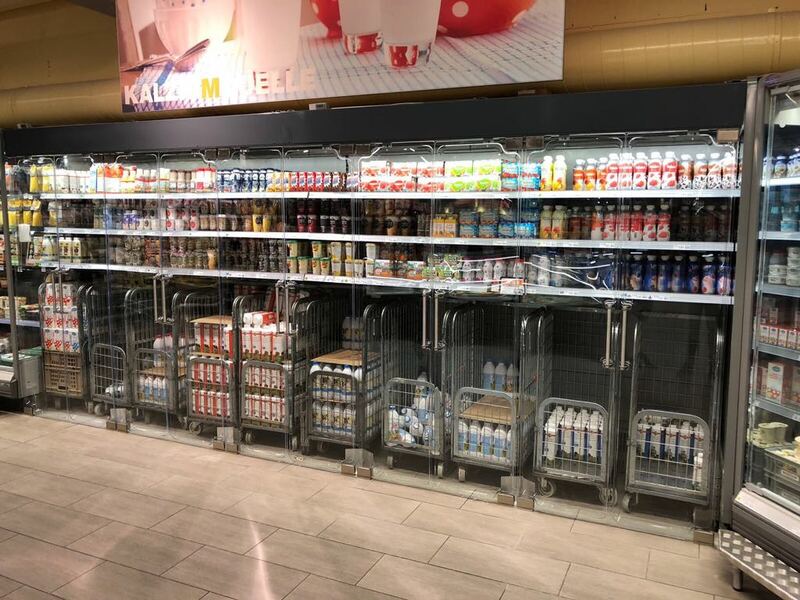 A lot of glass doors were damaged by milk trolleys in the past. 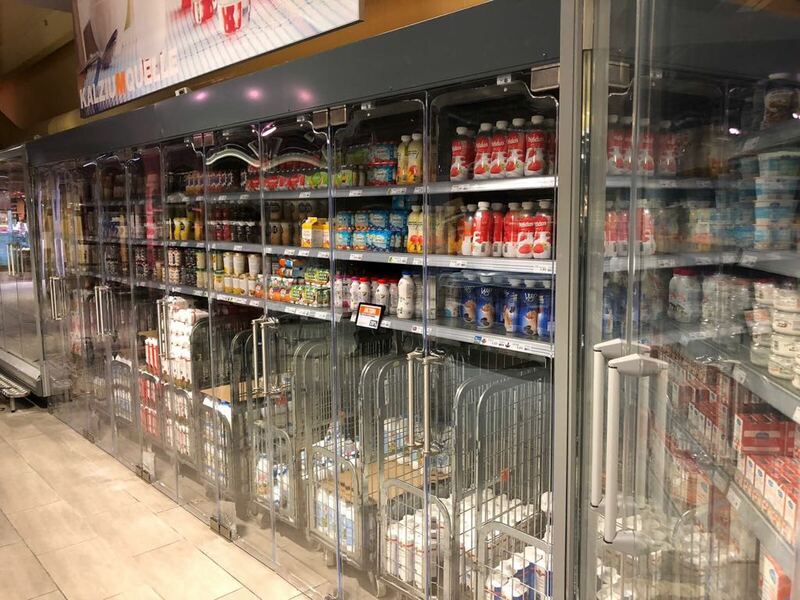 DoubleCOOL jumped in on this big problem and equipped Migros with their (nearly) unbreakable doors in combination with the problem solving bumpers on the floor.